What can you do with a 2 cubic metre bin? Looking to rent a skip bin with dimensions of 2 cubic metres? Are you interested in renting a 2 cubic metre bin but not quite sure if its the right size for your needs? What are some of the advantages of renting such a bin and the things that you need to know about using one? These are all perfectly good questions and something that you might be wondering about yourself, that is if you've never had to bother with such services yourself. Let's get right to it! Now bin hire prices can vary greatly depending on the size of the bin that you're renting . A skip bin with dimensions of 2 cubic metres is generally the smallest and least expensive option available for residential use. Don't be fooled though; there's a lot that you can do with such a bin and it often offers the best value particularly if you're not looking for anything too big and would like to keep cost as low as possible. The price of a cubic metre skip bin is around $130 to $150 and that includes the cost of delivery and collection. Of course, you'd want to verify all that with your bin hire company if only to ensure that you won't run into any surprises. The question remains - is a 2 cubic metre bin the right option for you? If you're only looking to do an occasional clean up around the house (spring cleaning, moving out, etc) then these standard sized bins are highly recommended. Apart from junk and general waste products, you may also use such a bin to clear out builder's waste during following a home repair or renovation project. 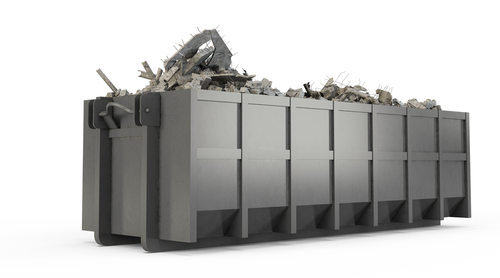 A 2 cubic metre skip bin can fit around 2.5 tonnes of household rubbish, dirt and concrete. Looking to get started with a proven and reputable bin hire company? Call Bins Adelaide today on 0426 570 035! We offer some of the best deals for renting out a 2 cubic metre bin! Why businesses rent out mini skips? Are you interested in so called bins for hire to help with maintaining your commercial establishment? Running any kind of business can be stressful and much more so if you have to deal with significant amounts of rubbish on a regular basis. If that sounds a lot like you then you might want to consider renting mini skips to help with your commercial waste management needs. Why exactly is this so? A pile up of rubbish not only make commercial establishments look unsightly but may also present a safety concern as well. Accidents are more likely to happen in and around cluttered work spaces, which business owners can be held liable for. (workplace accidents, personal injury, etc). Not to mention the fact that a pileup of waste products may attract the presence of pests many of which are known to spread disease and cause significant damage to business properties. 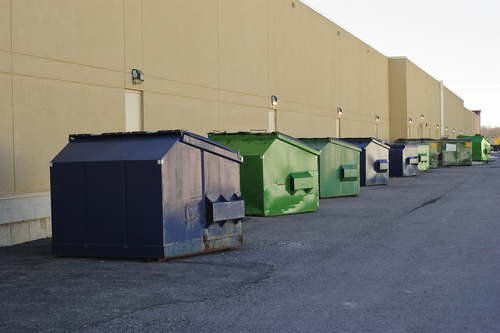 Renting out a mini bin can help you prevent such problems simply by making sure you've got all the storage you need to prevent a build up of waste products in and around your commercial establishment. Yet another benefit when it comes to bin hire services is that you're not only getting rid of all your rubbish on a regular basis but you're able to do so in the proper manner with full respect to the environment. Reputable bin hire companies recycle most of what they haul away and make sure that everything ends up where it should without endangering the environment. Even with cheaper bin hire services, commercial establishments can expect to benefit immensely in terms of credibility. Simply being able to keep your establishment clean and free of clutter speaks well of the quality services that you offer your customers. So there you have it - a few commercial benefits that you can expect out of bin hire services! Looking to get started? Call Bins Adelaide today on 0426 570 035 and check out some of the best deals in the country when it comes to bins for hire! Why Hire a Bin in Adelaide for a Home Project? Hiring waste bins for an upcoming home project? Do you consider yourself more of a DIY enthusiast when it comes to home projects and heard all about how its a good idea to hire a bin in Adelaide? Perhaps you're not too keen about having to spend on such services in the first place because the reason you decided to the home project yourself was to save on cost? In any case, many DIY enthusiast recommend hiring a mini skip bin and for good reason. 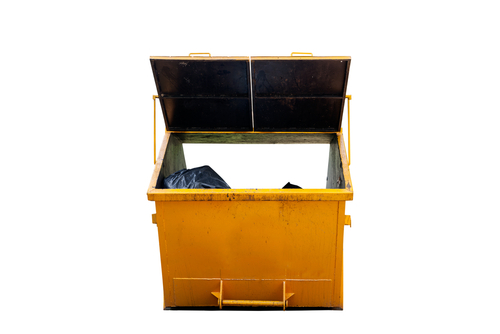 We're not just saying that because we rent out these bins ourselves and we urge you to read on about how hiring a skip bin can be immensely beneficial to the success of your home project. Just how useful is a mini skip bin hire? Now if you've tackled just about any kind of home renovation or building project before then you'd know how easily things can get out of hand in terms of waste management. Waste materials can pile up leaving your work space cluttered and disorganised. Progress can be slow and working on a home project surrounded by rubbish isn't exactly safe either. Service providers for a skip bin hire in SA can help you maintain a clear and clutter-free working space by providing you with adequate storage space for all your waste materials. These bins are available in different sizes from a 2 cubic metre bin for a small building project to a full industrial-sized 9 cubic metre skip bin. Ready to get started with a bin hire for an upcoming home project? Call us today on 0426 570 035 and hire a bin in Adelaide today! 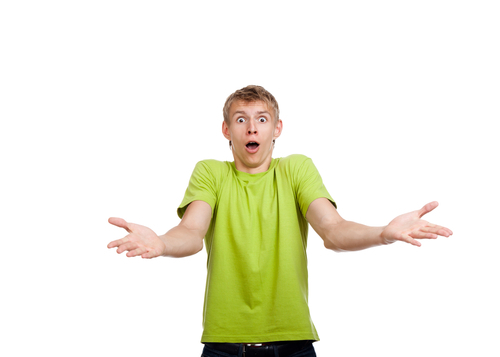 How does a Bin Hire Help with Waste Disposal in Adelaide? Proper waste disposal in Adelaide can be quite a challenge for many people. Rubbish can pile up before you know it and there are numerous situations wherein your regular trash bin isn't going to cut it. In any case, its important not to let your rubbish pile up least you attract a number of pests that may carry diseases and cause hundreds of dollars worth of property damage. A bin hire can help you do just that! Now as you may already know, a bin hire service grants you the personal use of a large metal trash bin known as a "skip" that you can fill with general non-hazardous waste. Needless to say, such a container can be a great help in waste management particularly if you're in the middle of something that generates a large amount of rubbish - building projects, renovations, spring cleaning,etc. Leaving your rubbish to pile up isn't exactly an option either and yet these situations generate heaps of rubbish that are well beyond your trash bin's capacity to handle. A bin hire provides you with all the storage space you need for all the rubbish you need to throw out for a clean and clutter-free home. Of course proper waste disposal in Adelaide isn't just about throwing out all your rubbish but doing so in a safe and proper manner. Professional service providers for rubbish removal not only undertake the task of collecting your bin but also sort them out for recycling. Approximately 90 percent of all the rubbish collected by a skip hire end up being recycled which is certainly of great help to the environment. If you're looking for a green waste disposal solution then that is yet another good reason to do a skip hire to help out with your waste management needs. Need help with all your rubbish? Call us today on 0426 570 035 and get all the help you need with proper waste disposal in Adelaide! Are you looking to do a mini skip hire? 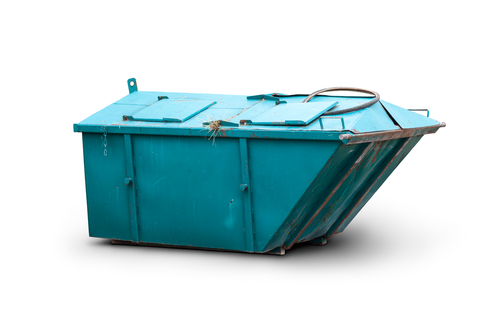 Are you looking for advice on doing a rubbish skip hire? Such services can prove invaluable for conveniently ridding your property of significant amounts of rubbish but only when you know exactly what to look out for. Now waste disposal is a problem that is not at all uncommon particularly among people who are in the midst of renovating their homes, tackling extensive repairs or an annual spring cleaning. In most cases, people don't have enough storage space for all their rubbish resulting to heaps of rubbish piling up which can be quite unsightly. This is where a mini skip hire actually comes in providing you with a large industrial-sized bin for all the rubbish that you're looking to throw out. That said, there are a number of things that you need to look out for if only to ensure that you end up with the right service provider. Companies that offer rubbish skip hire are service providers and just like any other service providers out there, some tend to have a better reputation than others. You'd do well to make sure that you're opting for a reliable service provider least you end putting up with delays in terms of bin delivery and collection. You can start by checking whether you're bin hire company is licensed and that they've been in business for quite some time. An experienced service provider is after all less likely to disappoint you in any way and are in a much better position to help you with your waste management needs. Prices for a rubbish skip hire tend to vary depending on the size of the bin that you're renting. A 2 cubic metre bin will costs around $130 while the largest ones will set you back $365 or more and ideal for large scale renovations and building projects. You need only choose the right bin size for your needs. Keep in mind that you are not allowed to overload your skip bin and that your service provider may refuse to collect the bin afterwards until it is deemed safe to transport. It's important to size your bin correctly and this is something that your rubbish skip hire company ought to be able to help you with. There's more to a bin hire service than just providing you with a large metallic bin for all your rubbish and while we'd want to find a cheap skip hire, one should not choose a service provider simply based on cost. Do they have a valid license? Are their bins and other equipment clearly marked and well-maintained? Is their serviced represented by uniformed personnel? These are questions that are well worth asking and should help you gauge quality of service being offered by a particular company. Are you looking for some of the best bin hire companies in Australia? You simply can't go wrong with Bins Adelaide! Call us today on 0426 570 035 and arrange for a rubbish skip hire in your area.